Hey AR fans, It's your resident blogger OWA here to put smiles on your faces We have a few cool things to show you this time, so lets get into the good stuff! Firstly lets all welcome Urimas to the team!! He has joined us recently as a weapons rigger and animator. The video below illustrates the reload animation for the Soviet's PPSH Drum Fed Machine Gun. The model for the PPSH was an asset form RA2: Vengeance, so far nobody has told me who made the model and texture. I recieved it from Spice so credit goes to him until I find out who else was involved. Now lets hit into the renders! Ric has tried his hand at texturing and these are the results. Also rm5248 has been tweaking his newest creation, the Soviet Gas Welder. 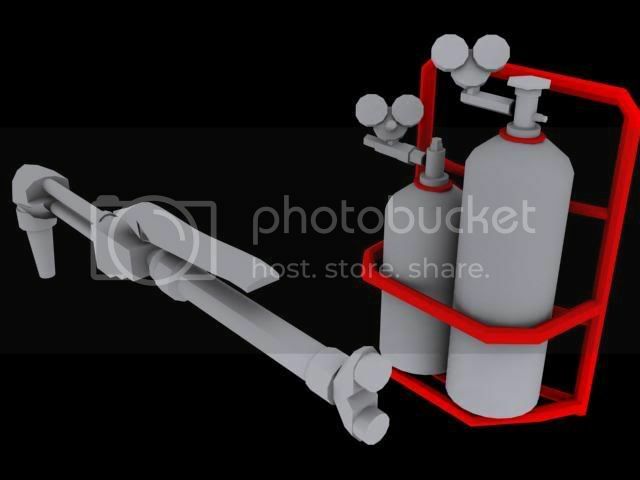 The gas bottles will be back mounted so expect your technician to explode when he dies. You'll also be able to repair buildings with this monster whilst burning any Allied troops that are foolish enough to get close. Today marks the start of a revolution. We shall aim to get you the first build of this mod either late this year or very early next year. Time will tell and progress will show if we can achieve this goal. We make this mod because we love you guys and I wouldn't want to let you all down. This mod is not dying whilst the others and I can still type! See you next week for the 20th blog special. Nice blog, but how about we make the video public? Gas Welder for technicians: A gass welder uses a short, hot flame to rapair damaged materials (Structures). This short flame can also be used as a close combat weapon to burn enemy infantry with. 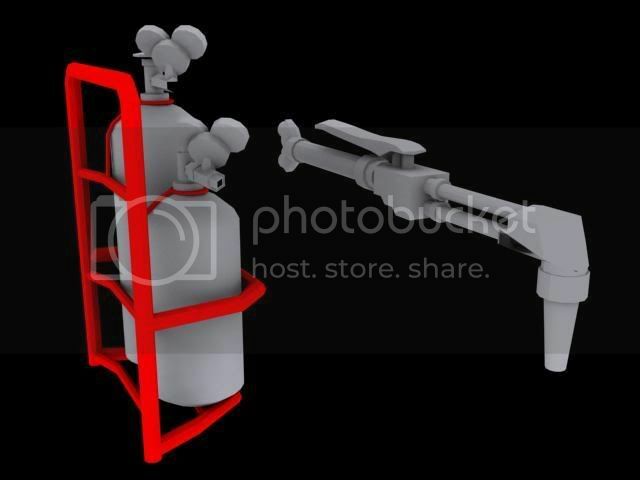 The gas bottles will be mounted on the technician's back so that he can make loads of repairs without needing more gas. so the allies get the drill and the soviets get that?